How Can I Restore My Backup File: Query Answered Here! "‘Restore my backup file’- this might be the need of you and many other users who are unable to restore their backup file. 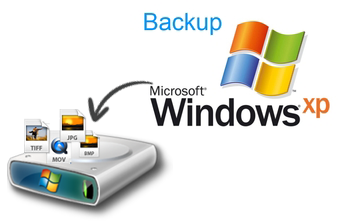 Get our BKF Recovery software that helps in recovery of corrupt backup data and saves the resultant on safe location. Engineered with best recovery techniques and user-friendly interface, the software offers a set up for faultless backup BKF file repair with proficient scanning options. The software is capable to handle varied reasons that cause backup inaccessible including missing catalog files due to multiple instance opening while backup creation, running BITs while creating the backup, virus attack etc. Enriched with commendable abilities, the software to answer users as how to Restore My Backup File helps in precise restoration of BKF file data." Say while restoring MS backup data, you encountered an error message that states: "e00084b7 - a backup set was created which contains no data". The probable reasons behind these errors are data restoration from offline media, incorrect location of backup file is mentioned while restoration or the BKF file is corrupted. In such situation, how can I restore my backup file is the query that strikes user mind and with our BKF repair tool, it is easy to recover and extract BKF file data with ease.